Orange is one of Europe's biggest telecoms operators. At the end of the 1990s, the state-controlled communications group, then known as France Telecom, had expansion on its mind, establishing footholds in other European territories, not least the UK, where it snapped up local mobile service Orange and ISP Freeserve. However, the shopping spree brought with it substantial debts, which had risen to €70bn by 2002. That year the group almost outdid Vivendi for record corporate losses as it wrote off the value of failed investments. A new management team gradually restored the group's fortunes and began the slow process of reducing its debt mountain. In 2006, France Telecom unveiled an ambitious restructuring program in which all its worldwide mobile, internet and business communications businesses were merged under the acquired Orange brandname. As the group focused more intently on its international operations, the France Telecom name was retired into the background, and finally dropped altogether in July 2013. Since then, Orange has been gradually unpicking its network of foreign investments selling off weaker units to focus on a handful of major markets. In 2016, in the biggest such deal, it sold its share of leading UK mobile carrier EE to BT. Who handles Orange's advertising? 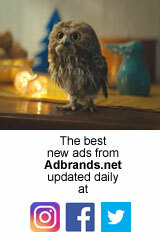 Click here for agency account assignments from adbrands.net. The group declared "advertising, promotional and sponsorship costs" of €894n in 2016. In France, Kantar (in Strategies) estimated advertising expenditure of €294m in 2017. In the 2000s France Telecom set itself the goal of being a pioneer in the creation of fully integrated telecommunications services with a seamless offering which combined traditional fixed lines service with mobile and broadband. The key step in this strategy was the creation of the new Orange in 2006, absorbing the old Wanadoo and Equant online and business communications divisions. As a result, the group's previously separate mobile communications, internet and business communications divisions in France and international markets all adopted the communal Orange brand. Fixed line operations also began to be absorbed into the Orange brand from 2008, and the France Telecom name was abandoned altogether in July 2013. At the end of 2015, Orange had a total of 263m customers worldwide, including 201m for mobile and 18m fixed broadband. Despite its international footprint, France remains the group's most important market by far, still accounting for almost half of revenues. Orange remains the biggest fixed line operator in its home country, with over 16m retail lines, but it has seen its share of local call volumes steadily undermined by competitors. That decline has been partly offset by the growth in more lucrative broadband connections. Orange has around 40% share of the local broadband market, well ahead of main rivals SFR and Free both on around 23%, and Bouygues on 10%. Key to the group's development in recent years has been the integration of fixed line internet services with its traditional voice service. Originally operational only in France, ISP Wanadoo gradually spread its coverage into other European markets during the 1990s, with acquisitions including the former Freeserve ISP in the UK and eresMas in Spain. The group floated off shareholdings in the business from 2000 onwards, before buying those shares back in 2004 in order to integrate the business more closely with its main fixed line service. By the beginning of 2006, the Wanadoo service operated in France, Spain, the Netherlands and the UK, supported by affiliate brands in Poland and Portugal. It rebranded that year as Orange. Around 85% of broadband connections now include a subscription to Livebox, the group's multimedia broadband gateway which allows for digital television reception (under the MaLigne TV brand), music streaming, broadband telephony and interactive gaming among other services. The company has pushed heavily into the broadcast entertainment sector under the banner TV by Orange, negotiating first rights deals with a number of feature production companies, a strategy which has resulted in fierce competition from pay-TV leader Canal+. It acquired rights to around a third of French Ligue 1 football matches in 2008, and launched a collection of Orange-branded movie channels in 2008. Those two services, Orange Sport and Orange Cinema Series, are now pay TV channels in direct competition with Canal+. The group had 10.8m broadband customers in France by the end of 2015, of whom almost two-thirds also took digital TV services. Minitel, the pioneering data service first launched in the 1980s, continued to exist, but was almost completely overshadowed by computer-based internet access. More than 800,000 Minitel data terminals were still in use at the end of 2010, and the service was also accessible via the internet. It was finally discontinued in June 2012. The group also offers telephone directory services, mainly under the 118 712 number. In 2011, the group acquired a 49% shareholding in Dailymotion, the main European competitor to YouTube, for around €59m. It took full control of the business at the end of 2012. However it wasn't long before the group began seeking an exit for the business. A potential deal with Yahoo was blocked by the French government in 2013. Instead, Orange sold 80% of Dailymotion in summer 2015 to Vivendi. Orange is a lead sponsor of the top two football leagues in France as well as the Roland-Garros tennis tournament and Tour de France cycling race. It is the title sponsor for the Africa Cup of Nations football tournament until 2016, and is also a major supporter of cinema events and festivals. Orange is France's #1 mobile communications provider by customers with 28.4m subscribers at the end of 2015, equivalent to 34.5% share (down from over 41% at the end of 2010). It incorporates the mobile services formerly known as Itineris and Ola. (By comparison, SFR has almost 26.7% share, Bouygues 14.2% and Free 13.8%). Almost three-quarters of customers are on monthly contracts. Jump is a Visa credit card for younger users launched in 2008 as a joint venture between Orange and BNP Paribas. The group services around another 1.6m customers in France through MVNO arrangements. The first of these was established in 2005, when the company agreed to supply call minutes to a new virtual mobile operator being launched by media channel M6 under the name M6 by Orange. The group also poached another MVNO operator, NRJ Mobile from arch-rival SFR. Other MVNO partners include Breizh Mobile and private label services for retailers Carrefour and Casino and banks Credit Mutuel and CIC. Orange launched a prepaid spin-off brand of its own in 2011 under the name Sosh, marketed exclusively online, and aimed at the youth market. At the opposite end of the scale to entry-level Sosh is Parnasse, an exclusive concierge service offered to Orange's most valuable VIP customers. Controversially, the group has also supported the launch of low-cost operator Free, which is substantially undercutting all the existing operators' call-rates. Although, Orange too was affected by the intense competition, it was at least able to offset some of those losses with the revenues it charges Free for wholesale call volumes. In 2007 the group secured exclusive rights to market Apple's iPhone in France. Because of local competition laws, Orange was obliged to offer the iPhone unlocked so that it could be used on any mobile network, rather than exclusively on the Orange service. Nevertheless that exclusivity was challenged by rival carriers, and Orange was finally forced to surrender its position in early 2009. In 2011, Orange teamed up with rivals SFR and Bouygues and IT consultancy Atos Origin to launch Buyster, a shared platform for mobile payments. It allows customers to link their mobile accounts to a bank card for easy on-the-move payments by phone or web. For 2015, France contributed revenues of €18.40bn, with 55% from fixed line and broadband and the balance from mobile. In 2017, Orange launched banking services through around 140 of its 700 retail outlets in France, in a partnership with Groupama. In its first ten days of operation, Orange Bank attracted at least 30,000 accountholders. Spain is now the group's second most important market. In 2005, the group paid €10.6bn for an initial 80% holding in Amena, the country's #3 mobile service after Telefonica's Movistar and Vodafone. It rebranded as Orange Espana in 2006, and acquired Spanish internet portal Ya.com from Deutsche Telekom in 2007. The 20% of equity it didn't already own was acquired in 2009. In 2014, the group expanded its footprint with a deal to acquire local broadband competitor Jazztel for around €3.4bn. Orange already provided bandwidth for Jazztel's MVNO mobile service, but the acquisition gave the group an important first foothold in local fixed line and broadband services. Although the deal was completed in 2015, Jazztel still operates as a separate brand. Combined broadband market share for Orange Espana and Jazztel was 28.1% at the end of 2015, putting it in second place behind Telefonica (on 43.7%). Vodafone/ONO was #3 at 22.1%. In mobile, Orange/Jazztel ranked 3rd with 15.2m customers, equivalent to 22.8% share, behind Telefonica (30.6%) and Vodafone/ONO (25.2%). In addition to the main Orange brand, it also offers low-cost mobile services under the Simyo, Amena and Mundo brands. Combined external revenues from Spain were €4.22bn in 2015, just over half from mobile and the remainder from fixed line, broadband and equipment. Orange's #3 market by revenues is Poland, where the group is the controlling shareholder in the local telecoms group originally known as Telekomunikacja Polska (or TP). It changed its name to Orange Polska in 2012. The French group has just over 50% of equity with most of the remaining shares publicly owned. Its mobile subsidiary PTK Centertel adopted the Orange brand in 2005, and Orange Poland is now the country's #1 operator with 15.9m subscribers at the end of 2015, equivalent to around 28.4% market share. (T-Mobile, the former market leader, slipped into 4th place by users in 2015 behind P4 and Plus/Polkomtel). A similar range of Orange broadband services has been rolled out in Poland. Combined revenues from Poland were €2.80bn in 2015. Orange Belgium (formerly Mobistar) is a 53% owned subsidiary (with most of the remaining shares publicly owned). It is the local #2 with 5.7m customers including MVNOs, and 3.9m under its own banner. Local share in 2015 was 41% local share (behind market leader Proximus on around 45%). The group has divested most of its other operations in Western Europe to focus its attention of Central & Eastern Europe. Orange Romania was formed from the merger of local providers Mobilrom, Dialog and Alo. It is the local #1 with 10.2m subscribers and 37% share (ahead of Vodafone with 31%). Orange Slovensko (previously Globtel) also leads its local market in Slovakia, with 2.9m customers and 44% share (ahead of T-Mobile's Slovak Telekom with 28%). With Europe facing several years of economic difficulty, France Telecom made Africa and the Middle East a key focus for development, establishing a presence in several countries across this vast continent. By the end of 2011, it had operations in 21 markets in the region, including Mali, Senegal, Ivory Coast, Cameroon and Jordan. Its biggest territory in the region is Egypt where it steadily accumulated control of local operator Mobinil, now Orange Egypt. It is the local #2 mobile operator with 33.1m customers, mostly prepaid, and 33% share, behind Vodafone (36%) but ahead of Etisalat (31%). In 2010, the group acquired what is now a 49% shareholding in Morocco's #2 mobile service, Meditel. It is also the market leader in Senegal, the Ivory Coast, Tunisia and Mali, and #2 in Jordan, Botswana and Niger, among others. Combined revenues from Afica & the Middle East were €4.60bn. Over the years, the group steadily exited Western Europe's other major markets. For many years, the UK was France Telecom's second most significant market as a result of the local Orange UK mobile service, which had revenues of over €5bn in 2009. In 2010, the business was merged into a new joint venture with Deutsche Telekom, housing the UK operations of the Orange and T-Mobile brands. That business now trades under the name EE. In 2015, Orange and Deutsche Telekom agreed to sell the business to local fixed line giant BT for £12.5bn in cash and shares. Orange ended up with a 4% stake in the enlarged BT/EE. During 2001 and 2002, the group built up a stake in Wind, Italy's #2 fixed line and mobile operator, but failed to gain significant operational influence over the business. The shares were sold to controlling shareholder Enel in 2003 for €1.3bn. By far the most difficult investment was in German mobile company Mobilcom, in which Orange originally acquired a 28.5% stake. After a very public row over control during 2002, the group effectively severed its ties with the German business although it retained its shareholding. Those shares were finally sold in 2005 to private equity company Texas Pacific Partners. Orange Switzerland was for many years the local #3 behind TDC Sunrise and market leader Swisscom. Plans to merge with TDC Sunrise in 2010 were abandoned as a result of opposition from the Swiss government. At the beginning of 2012, France Telecom agreed a deal to sell the Swiss unit to Matterhorn Mobile for around €1.6bn. It continued to operate under the Orange name under license until 2015 when it became Salt Mobile. Other exited markets include Scandinavia, Switzerland, the Netherlands and Austria. In the late 1990s the group launched networks in Sweden and Norway to support the rollout of UMTS technology mobile services; however it subsequently pulled out of the Swedish market at the end of 2002 because of difficult market conditions, and sold struggling Orange Denmark (previously Mobilix) to Scandinavian telecoms group TeliaSonera in 2004. In 2008, France Telecom made an initial approach to TeliaSonera, offering to buy the smaller group for around €30bn. That bid was rejected, but the French company said it would consider other ways of sweetening a potential deal, which would create Europe's biggest phone company. The two sides failed to agree on any alternative arrangement, however, prompting France Telecom to abandon its strategy at the end of the month. Orange Netherlands launched in 1999 under the name Dutchtone. It adopted the Orange brand in 2003, but remained one of the group's weakest subsidiaries, ranked 5th in its local market with 2.0m subscribers. In 2007, France Telecom agreed to sell the business to T-Mobile for €1.3bn. In 2007 the group agreed to acquire full control of Austria's One, then the local #3 operator with 1.8m customers, through a joint venture with an investment partner. One finally converted to the Orange Austria brand in 2008. In January 2012, the group agreed to sell the business to Hutchison Whampoa, which merged it with the local operations of its Three service during 2013. Until recently, Hutchison Whampoa, originator of the Orange brand, also continued to control Orange-branded services in Australia, Israel, Hong Kong and India. The shares in Orange Israel were sold in 2009 to local operator Partner Communications, which continued to license the Orange brand until 2016. The other Orange businesses converted to Hutchison's Three brand, while Orange Australia was absorbed into the local operations of Vodafone. Until its rebranding as Orange Business Services, the group's enterprise communications division operated under the name Equant. It is still a leading supplier of IP and data services for multinational businesses, connecting key business centres in 220 countries, and serving approximately 3,700 large business customers, including more than two-thirds of the world's Top 100 companies. The group also owns Globecast, the world's leading provider of satellite content distribution services. Revenues from business services were €6.01bn in 2015. Pages Jaunes was originally France Telecom's print and online directory publishing business. The group issued an IPO of PagesJaunes in 2000, and steadily sold further shares after that, reducing its stake in that business to 54% by the end of 2004. In 2006, it sold its remaining shares to private equity group KKR for €3.3bn. The French government remains the largest shareholder in France Telecom, although it has steadily reduced its stake. Following sales in 2004 and 2005, and two smaller sales in 2014 and 2015, its holding had fallen to just over 23% by the end of 2015. Until 2004, effective state ownership prevented the group from paying for acquisitions with its own shares and it struggled to reduce staff numbers, since the majority of French employees were classed as civil servants with protected positions. In 2004 the group said it would make substantial cuts of around 15,000 jobs, either through early retirement or by transferring staff to other branches of the country's civil service. The reduction in the government's stake allowed the group to make more widespread changes mid-decade, but the waves of restructuring which followed were widely blamed by unions within France for lowering morale. This situation appeared to reach a crisis point in 2008 and 2009 with a series of suicides by staff members. In the 18 months to September 2009, no less than 24 employees took their own lives, seemingly as a result of unhappiness at work. Group performance peaked in 2010 with revenues of €45.5bn and a 43% jump in net income to €4.9bn, the best performance since 2007. That figure included a €1.1bn gain from the transfer of Orange UK to what was then the Everything Everywhere joint venture. Revenues have declined steadily since then as a result of competition on pricing and the divestment of non-core businesses. They slipped below €40bn in 2014 for the first time in well over a decade, before recovering to €40.24bn for 2015. Net income has bounced up and down, buffeted by impairments and rising labour costs. After plunging in 2012 to €870m it more than doubled the following year to €1.87bn, then halved the following year. For 2015, attributable net income almost tripled again to €2.65bn, the best performance since 2011. Net debt is down from its 2002 highs, but is still very substantial at almost €27bn. Finance costs were €1.6bn. France contributed 46% of group revenues in 2015 (but 79% of operating income), followed by Spain (11% of revenues) and Poland (7%). France's telegraph service was first brought under government control in 1837 in the same year that Frenchman Claude Chappe's invention of the optical telegraph was replaced by Samuel Morse's electrical system. The arrival of the telephone in 1878 revolutionised the service which, as in other countries, was placed under the control of the country's Post Office. Initially the government put the telephone licenses out to commercial tender, before realising their national importance. In 1889, commercial telephone operator Société Générale de Telephones was nationalised and the government spent the next decade networking the country. During the first half of the 20th century, development of the French telephone system lagged behind neighbouring countries, not least because the network was destroyed twice in the First and Second World Wars. Following liberation in 1944, the post office established the Centre National d'Etudes des Telecommunications (CNET) as a research centre. At the same time the telephone system was placed under the control of the Direction Générale des Telecommunications (DGT), which took firm steps to catch up in technology. In 1962 the DGT beat several European neighbours to be involved in the first international television broadcast from the US via the Telstar satellite. In 1974, the DGT was separated from the Post Office. With lavish funding and government support, the department established itself as one of the most forward-thinking telecoms businesses in Europe. France was one of the leading forces in the launch of the first European telecommunications satellites during the 1970s, and launched the first digital exchange in Europe in 1978. Another major innovation was the introduction of Minitel in 1983. An early precursor of the internet, the service allowed ordinary consumers to look up phone numbers and access local events and services via home terminals. The first French telecommunications satellite, Telecom 1A, was launched in 1984. Cellular telephone service began in 1986 with Radiocom 2000. In 1988, the DGT was reorganised as France Telecom and was granted independent status in 1991, state-owned but free from direct government control. The company joined forces with Deutsche Telekom and Sprint in 1993 to launch international business communications service Global One three years later. Also in 1996, FT launched its own internet service, subsequently branded as Wanadoo. The following year, the government sold an initial 20% stake in the group to the public, in one of the country's biggest ever privatisations. As European telecoms industries were deregulated in 1998 and 1999, FT and its peers scrambled to build their presence in other markets. FT agreed to partner with Deutsche Telekom to launch fibre-optic cables throughout Europe, but the plan was halted by a series of rows over each company's international ambitions. In particular, FT was angered by DT's intervention in the bidding war in Italy over that country's national service in 1999. Telecom Italia had attempted to engineer a merger with Deutsche Telekom to fend off a hostile bid from Olivetti. Alarmed by the power this would give DT in the European marketplace, FT sued the German company and attempted a takeover of leading German mobile operator E-Plus in retaliation. The bickering was resolved when Telecom Italia's shareholders rejected the DT merger in favour of Olivetti, while E-Plus's key shareholder BellSouth rejected FT's advances. Instead, France Telecom turned its attention to the UK, paying $5.5bn to back local cable company NTL's purchase of the domestic telephone network being sold off by Cable & Wireless. As a result, FT indirectly became the biggest UK fixed line telephone service in the UK behind BT. Its position was strengthened still further in 2000 when FT clinched the deal to buy the UK's #3 mobile service, Orange, for £25.1bn. It later announced that all of its various mobile operations, including those in France, would be rebranded as Orange during 2001. At the end of the year France Telecom's internet business Wanadoo bought up UK ISP Freeserve from Dixons for £1.6bn in stock. It was a generally busy year for the group. Also in 2000, France Telecom acquired a 28.5% stake in German mobile service provider Mobilcom for €3.74bn ($3.6bn). Meanwhile Global One was beginning to fall apart as a result of disagreements on strategy between the three partners, especially after FT and DT's row over Telecom Italia. In 2000, FT bought out its two partners, paying $4.3bn to take control of the business. Later that year it became the majority shareholder in global data communications network Equant, and merged the two services under the Equant banner. At the close of the year France Telecom paid $252m to become 71% owner of Egypt's largest mobile phone company, MobiNil. In 2001 France Telecom floated around 15% of Orange UK's shares. When the IPO was first announced in 2000, it was thought it would be Europe's biggest ever, but France Telecom later cut back the offer price to reflect the slowdown in the mobile phone industry. As the dust cleared from the industry's acquisition frenzy, the group was forced to write-off huge sums in goodwill after share values collapsed at several of the group's investments, including Equant, UK cable company NTL, Telecom Argentina and German mobile division Mobilcom. For fiscal 2001 France Telecom reported a huge net loss of €8.3bn, while net debt had risen to €61bn by the end of the year. During 2002 the problems at Mobilcom increased as a result of bitter disagreements between France Telecom and local German management. Mid-year FT withdrew any further funding from Mobilcom, a move probably designed to force the company into bankruptcy. Mobilcom retaliated by releasing confidential documents showing that France Telecom's chairman Michel Bon had contracted to fund the German company until 2010. Embarrassed by the row over Mobilcom as well as France Telecom's substantial debt burden which had now risen to a staggering €70bn, Bon resigned in September 2002. (The German government later bailed out Mobilcom with €400m of loans). Meanwhile the French government agreed to assist France Telecom with its debt mountain at the end of 2002, by offering to loan the company €9bn in cash to help it through an impending cash squeeze. Interest payments on its debt alone cost France Telecom some €15bn in 2003. The group reported strong preliminary figures for 2002, boosting confidence that it could shake off its debt burden. It took advantage of investors' initial relief to put through a huge charge to wipe its slate clean of various disastrous investments, writing off €7.3bn of value against Mobilcom, €4.4bn against Equant, €1.7bn against NTL, €1.6bn against Wind, €900m against Orange Switzerland and around €2bn against investments in Africa and the Middle East. Two weeks after the prelims, France Telecom reported an eye-watering €20.7bn loss, almost a third higher than that declared a year earlier by Vivendi Universal, then a record in French corporate history. (Just one day after France Telecom's announcement, Vivendi reclaimed the record with an even higher loss). In fact the group's underlying financials were not at all bad, with operating income up by almost a third. "We had to turn a page and that page has now been turned," said new chief executive Thierry Breton of the write-off. Performance continued to improve over the following months. In 2004, the European Commission announced that it would conduct an investigation into the close financial relationship between France Telecom and the French government during the 1990s and the company's financial crisis in 2002. It subsequently ruled that the €9bn cash loan (offered in 2002 but in fact never called upon) was legal. But the government's decision to waive payments of around €1.1bn of tax owed by France Telecom between 1994 and 2002 was not, and the company was ordered to pay back the sum. The negotiations involved in that transaction obviously stood France Telecom's chairman and CEO Thierry Breton in good stead. In February 2005 he was named by Jacques Chirac as the French government's new finance minister. His successor at France Telecom, Didier Lombard, launched a comprehensive restructuring of the group over the next two years, appointing a completely new senior management team, and establishing Orange as the group's principal brand outside France in 2006. Orange is no stranger to international communications. The service was first launched in 1994 by Hutchison Telecom, a joint venture between Hong Kong conglomerate Hutchison Whampoa and British Aerospace (third partner Barclays Bank pulled out in 1995). The new service, initially known as Microtel, was designed to mark a quantum leap forward, the first national digital mobile service anywhere in the world. Branding agency Wolff Olins and ad agency WCRS worked with Hutchison to come up with an equally distinctive name for the product. Renamed Orange, the service enjoyed an extremely successful launch, supported by a stylish marketing campaign which made the most of the company's unusual branding. "The future is bright," promised the advertising. "The future is Orange." Another great strength was Orange's very straightforward, user-friendly phone usage options, very different from the complicated usage-bands offered by its competitors. A major force behind the company's growth was the driving ambition of Hans Snook, Orange's CEO since 1994. A former backpacker who ended up in the telecoms industry almost by accident, he was renowned for his unconventional, even off-the-wall, new age spiritualism, but it was exactly this semi-mystical aura which made the Orange brand so compelling. Despite being the fourth UK service to launch, the company soon overtook #3 player One 2 One. The company floated part of its equity in 1996 and by the end of that year subscriber numbers had more than doubled to 785,000, passing the 1m mark in July 1997. UK growth continued to accelerate in 1998, placing Orange in credible 3rd place behind Vodafone and Cellnet. That year, BAe reduced its stake in the group to 5%, while floatation reduced Hutchison Whampoa to 49%. At the end of the year, Austrian service One, in which Orange held a 17% stake, launched. The following year, Orange subsidiaries in Switzerland and Belgium launched their own services, while Hutchison Whampoa licensed the brand for its own subsidiary operations in Israel and Hong Kong. Meanwhile the UK market continued to explode. By the end of 1999, Orange's UK customer base was heading towards 5m. Hutchison Whampoa was by now looking to cash in its own shares, equivalent to 44% of the company following the sale of a further stake in 1999. Coming a few months after the sale by Cable & Wireless of One 2 One, this generated a frenzy of activity among telecom companies keen to snap up Orange. Germany's Mannesman, already a leading mobile operator in Germany, was the preferred bidder, agreeing to pay £19bn for the British company in late October. But news of the deal simply put blood into the water. The financial markets marked down Mannesman's shares, believing it had paid too much. As a result Vodafone, fearing competition from a combined Mannesman-Orange, announced it would take the opportunity to launch a hostile bid against the German company. As Mannesman began the process of fitting Orange into its corporate structure, Vodafone hammered away at Mannesman with a series of ever-increasing bids. By the beginning of 2000, Vodafone's chance of victory was looking more certain, and this came the following month when the German company finally conceded to a massive £105bn offer. The main regulatory condition of the deal was that Vodafone would have to demerge Orange to avoid a monopoly in the UK market. After several months of deliberation over whether to float or sell Orange, Vodafone entered negotiations with several bidders in April. At the end of May 2000, France Telecom, always one of the favourites, agreed to buy the company for £25bn in cash and shares. It ended up as the best possible deal for Orange's existing management, then still led by Hans Snook. France Telecom announced it would gradually pool its other mobile interests into Orange. These included France's leading mobile service Itineris, as well as a collection of other interests around Europe, promising to make the company Europe's second largest mobile phone business with a market value of around €150bn ($136bn). In early 2001, France Telecom floated around 15% of Orange's shares. When the IPO was first announced in 2000, it was thought it would be Europe's biggest ever, but France Telecom later cut back the offer price to reflect the slowdown in the mobile phone industry. A decline in consumer uptake plus negative market sensitivity towards the massive prices paid by telecoms companies for 3G "next generation" licenses worked together to pull over-inflated share prices back to earth. The IPO caused shockwaves throughout the industry after the share price ended its first day below its issue price. The rebranding exercise kicked off with the renaming of Danish service Mobilix in May 2001, followed by French services Itineris and Ola in June. However during 2002, Orange's relationship with German affiliate Mobilcom gradually fell apart. France Telecom repeatedly clashed with the German company over management decisions and policy. When Mobilcom refused in 2002 to sack CEO and former founder Gerhard Schmid at France Telecom's request, the French company said it was cutting all ties to the business. In September, funding was cut off, a move that looked almost certain to force the German company into bankruptcy. Schmid eventually stepped down, but Mobilcom then released confidential documents showing that France Telecom's Chairman Michel Bon had contracted to fund the German company until 2010. Embarrassed by the row over Mobilcom as well as France Telecom's substantial €70bn debt burden, Bon resigned in September 2002. Shortly afterwards the German government bailed out Mobilcom with €400m of short-term loans. France Telecom later patched up the row, forgiving loans of almost €7bn. The German company continued to operate as a separate entity. However the row resurfaced at the end of 2004. Gerhard Schmid filed for personal bankruptcy in 2003, and his administrators issued a lawsuit for €4.3bn against France Telecom in December 2004, alleging that the French company had failed to fulfil its contractual obligations. Jean-Francois Pontal, CEO of Orange, announced his resignation in December 2002. Solomon Trujillo was appointed as his replacement in early 2003, but he too left just 15 months later. In 2005, following a three-year investigation by France's antitrust regulator, Orange was found guilty of colluding with rivals SFR and Bouygues to fix call charges at an artificially high level between 1997 and 2003. The company was handed a €256m fine. Also that year, France Telecom announced plans to establish Orange as its main commercial brand outside France, becoming the umbrella for the group's Wanadoo internet service as well as the mobile service. Didier Lombard stepped down as CEO of France Telecom in March 2010, although he remained chairman until March 2011. That move followed widespread calls for his resignation in the wake of multiple suicides by employees. Louis-Pierre Wenes, deputy CEO, France & home communication services, had already resigned in October 2009 over the issue. Instead, Stephane Richard became CEO in 2010, and also chairman in March 2011.